go into every product we build. Operation of the charging handle of the Gibbz Arms upper can be done with the shooter's supporting hand, while the weapon is still shouldered. 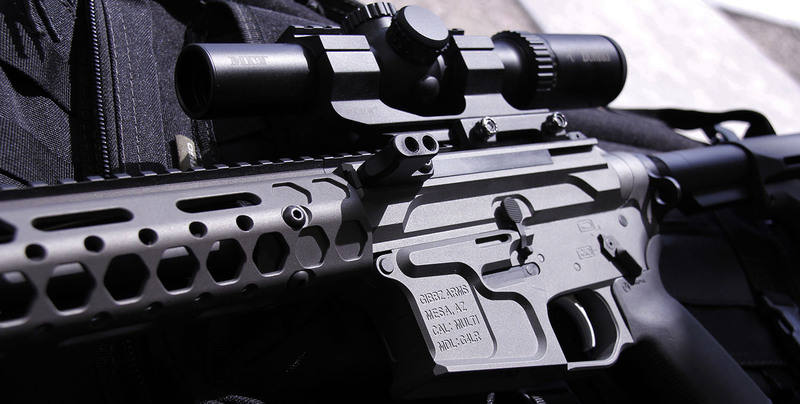 This allows the operator to maintain a good cheek weld and on-target sight picture. The operator can also keep their shooting hand on the fire controls at all times, even while clearing a malfunction or manipulating the bolt stop. 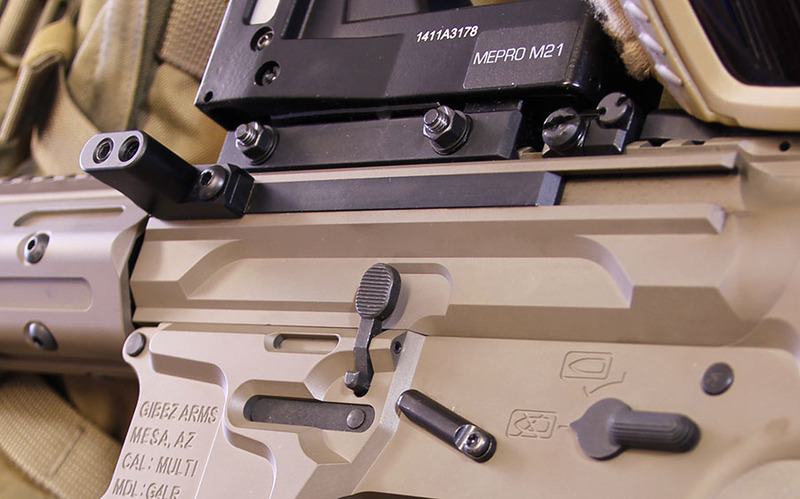 A simple rearward pull of the charging handle will work the action, but once charged, the handle stays locked forward while the action cycles. The shooter doesn’t have to worry about the handle impacting their hand, their cover, or barriers during operation. This allows the operator to use any preferred support hand position and helps to avoid possible injury or un-timely malfunctions. 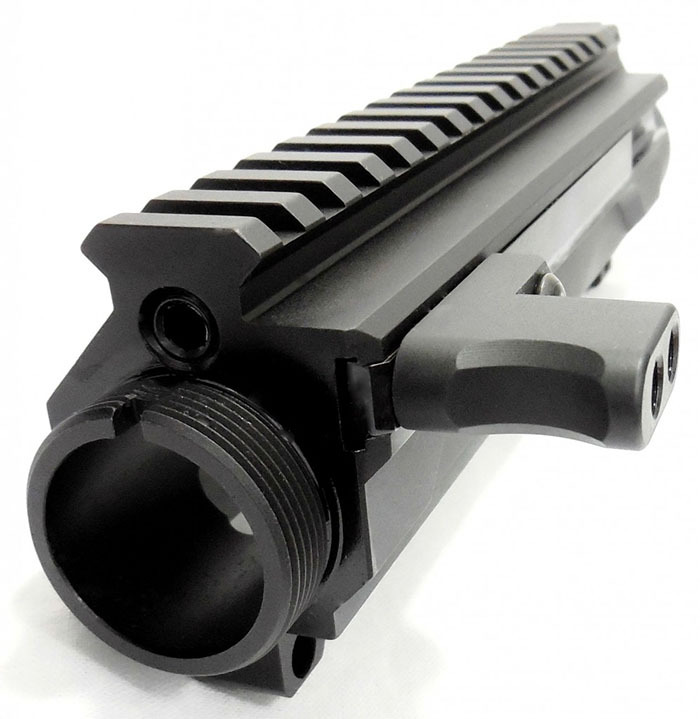 he Gibbz Arms Side Charge Upper design is compatible with any* bolt carrier group (BCG) including 9mm and .22LR conversion bolts. The user only needs to replace a BCG’s standard cam-pin with the Gibbz Arms Enhanced Cam-Pin in order to run it in our uppers. For conversion bolts (9mm, .40 S&W, .22LR etc.) that do not use a cam-pin, no worries! 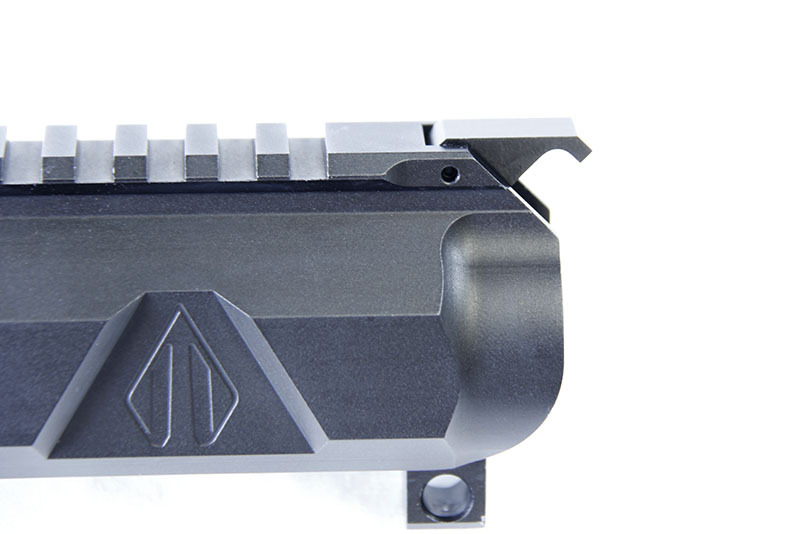 The Gibbz Arms Enhanced Cam-Pin is only necessary in BCGs that need a cam-pin to operate. 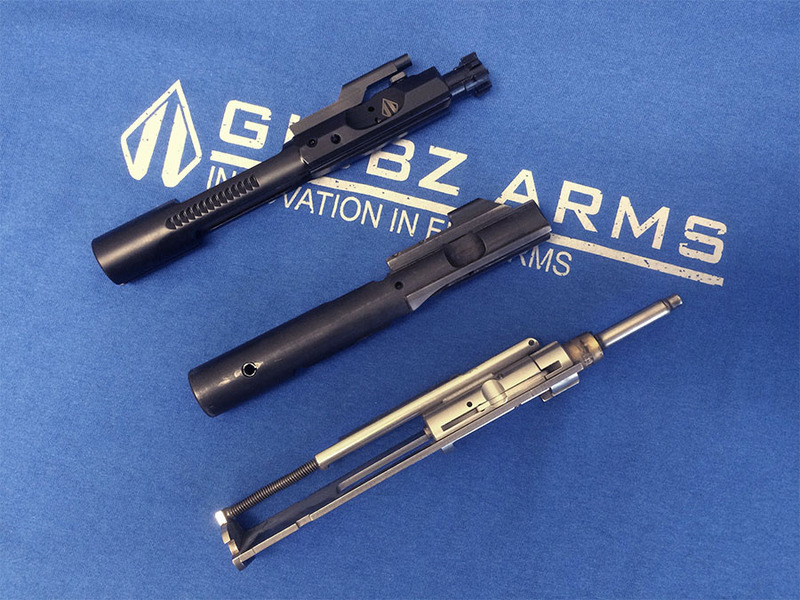 The Gibbz Arms Side Charge Handle is designed to interface with the same step, in the front of the Bolt Carrier, that a traditional charging handle does. It just reaches in from the side instead. Click here to see how our charging handle works and why/when our Enhanced Cam-Pin is necessary! 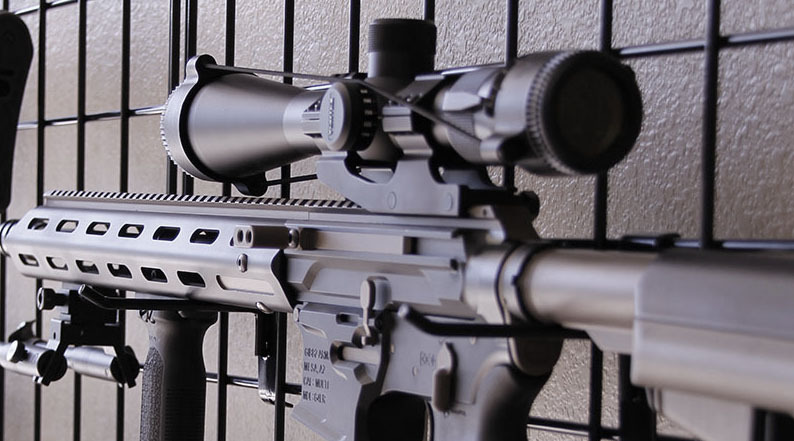 Ideal scope position is often compromised on rifles with a traditional charging handle. In many cases, optics must be installed higher and/or further forward so their objective lens won’t interfere with the operation of a rear charging handle. Our side charge upper design allows a shooter to have their scope installed as low and far back as preferred with more options on usable mounts/rings. Many scopes can be installed without one-piece cantilever scope mounts. Our side charge handle is also very easy to operate while in prone or other tactical shooting positions, all the while maintaining a good cheek weld and on-target sight picture. Operator feedback helped to create a handle that functions smoothly, is strongly attached, with a shape that prevents the handle from getting caught up in the shooters gear. By keeping a static non-folding handle, it is much less likely to get snagged in a MOLLE strap, and its blunt shape reduces the pressure on the operator should they come into more forceful contact with the handle. 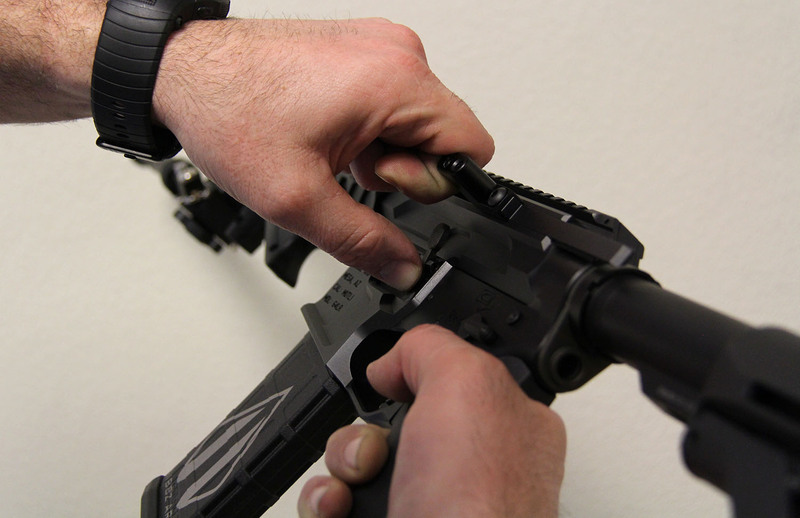 In the event of a malfunction, like a stuck case, the Gibbz Arms Charging Handle can handle whatever force is needed to quickly clear the rifle. And, in many cases, the forward mounting of the handle allows the shooter to keep the rifle shouldered and on target while being able to exert a great deal of force, if needed, to clear their weapon. For right hand models, the bolt catch is in easy reach of the handle at all times. Shooters can usually pull the bolt back while reaching down with their thumb to manually operate the bolt stop. For left hand uppers on right hand lowers, the shooter can usually pull the bolt back with the support hand, while reaching forward with their shooting hand index finger to manually operate the bolt stop. The rear access door and charging handle slide cover were designed to keep operating gasses inside the firearm. When shooting suppressed, operator exposure to the increased back pressure gasses are significantly reduced.